Pooja Kuhn, lead agent for the branch, looks forward to creating an agency that promotes efficiency and dedication in serving above self. With almost ten years of finance background and Master’s degrees in both Finance and Marketing, Kuhn was thrilled to be working with a new, challenging environment. “I like to take on challenges and opportunities that no one else wishes to pursue. After researching the area and visiting a few times, I knew this was a place I wanted to be a part of and wanted to help,” said Kuhn. Her husband Steven Kuhn works as Office Manager and Business Director at this branch as well. “Pooja came here to visit after State Farm suggested the agency and area to her. She wanted to get a feel for the environment and the community and truly fell in love with the place,” said Steven. With over twenty years in furniture manufacturing and two Master’s Degree in both Business Management and Human Services, Steven knew this was place that he wanted to help out with. “I love seeing businesses grow. Businesses should never remain stagnant. There is always room for improvement,” he said. this sense of commitment to their clients. “This opportunity was one I am thankful for receiving. I want our mission to always be about the client. We are there for them and we want to work with them wherever they are at, even if it’s to talk and get more clarity on the policies they have,” said Pooja. Steven described the level of commitment their branch has for their customers and how time efficiency is the most challenging aspect of his day. The branch assists people in Ashtabula County, butcangoasfarasthe entire state if need be. Several of their main cliental includes Columbus, Painesville, Mentor, Lakewood, and Toledo. “We will go out and visit people if they need us, too. If they can’t come to where we are, we will go to them,” said Steven. Although known mainly for the auto and home insurance, State Farm offers other various insurance policies including health, disability, banking, and checking accounts. change over the course of your life: Marriages, divorces, children, college, and unfortunately death. We want a relationship, not a customer becoming another number. We have appointments Saturday or Sunday if that’s what they need. We will meet people where they need to be met,” said Steven. 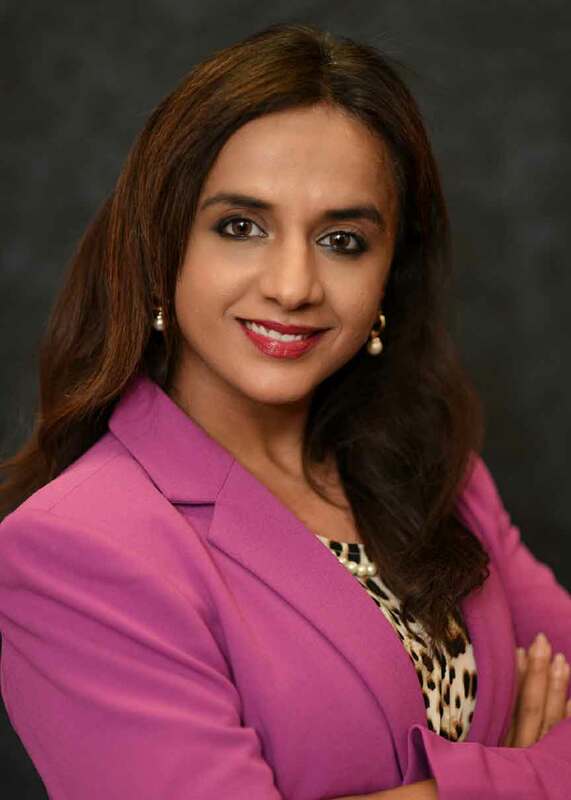 Rather than listening to the stigma around insurance agencies that push people to make a sale, Pooja’s agency focuses on the integrity of an individual and becoming a meaningful member of the county. “I want us to be integrated in the county. This agency is hoping to change the outlook on insurance companies and we hope to generate trust within our clients,” said Pooja. Her husband shares the same sentiment. Incorporating their brand and their mission into the county is one major goal for Pooja’s agency. Although opening the new agency on Oct. 1, Pooja and her team have worked toward getting their message out to the community. The agency paid for the first 500 cups of coffee at Perk Harbor, sponsored a basketball team at the YMCA, and are looking forward to providing “Reading with Santa” at the mall this month. “We are thinking of giving back to the community with nothing given in return,” said Steven. The hopes of the agency as clientele grows is to open another branch in the county. Both Pooja and her husband, along with their dedicated staff, are excited for what the future brings and what they can do for the area. “We believe we have a great service and hope to expand that mission,” said Steven. “What we can achieve is a lot. And we want to do a lot here,” said Pooja.